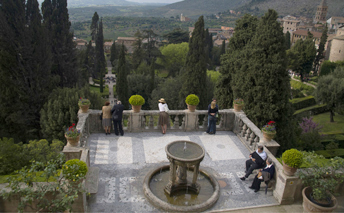 The mission of the Foundation for Landscape Studies is to foster an active understanding of the importance of place in human life through landscape studies, a field that encompasses all cultural landscapes, including gardens, parks, cities, suburbs, rural areas, and the humanized wilderness. The Foundation for Landscape Studies is a not-for-profit corporation governed by a board of directors. Under the direction of Rogers, its president, the foundation initiates projects in conjunction with other organizations, institutions, and individuals. Its activities include the publication of Site/Lines, a literary journal for readers who value thoughtful commentary and criticism relating to landscape history, theory, and design. In addition, the foundation sponsors lectures, exhibitions, and study tours. At the discretion of the board of directors, the Foundation for Landscape Studies awards subvention grants to authors and publishers of books that further an understanding of place. It also awards an annual prize to the author of a book published within the past two years on a landscape subject of interest to both scholars and general readers. The foundation does not consider unsolicited grant applications. 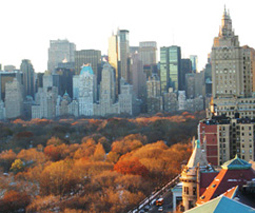 The mission of the Central Park Conservancy is to restore, manage, and preserve Central Park for the enjoyment of present and future generations. The Central Park Conservancy is a citizen-sponsored, not-for-profit organization founded in 1980 to make the park clean, safe, and beautiful once more. Today the Conservancy works in partnership with the public to manage Central Park’s 843 acres under the terms of a contract with the New York City Department of Parks & Recreation. In addition to underwriting, designing, and implementing most of the park’s ongoing restoration, the Conservancy funds 85 percent of its $27 million annual operating budget. To date the Conservancy has invested more than $450 million in park capital projects, including the reclamation of the Great Lawn, the dredging of Turtle Pond and the Harlem Meer, the redesign and reclamation of twenty-two deteriorating playgrounds, the revival and replanting of the Conservatory Garden and the Shakespeare Garden, the restoration of the historic Mall and Bethesda Terrace, and the construction of the Charles A. Dana Discovery Center. In terms of daily maintenance, Conservancy crews and volunteers aerate and reseed lawns; rake leaves; prune and fertilize trees; plant shrubs and flowers; resurface paths; rebuild bridges; maintain ballfields; remove graffiti; clean monuments; repair and rebuild deteriorated structures; work with naturalists to protect woodlands and other environmentally sensitive areas; and keep over 150 acres of lakes, ponds, and streams free of pollution, siltation, and algae bloom. The mission of the C. L. Browning Ranch is to enhance the beauty of the Texas Hill Country landscape, to preserve the ranch’s cultural history, and to develop a methodology for analyzing scientific information in a manner that provides a useful base of knowledge from which to build increasingly competent ways of stewarding land — not only in Texas, but elsewhere as well. 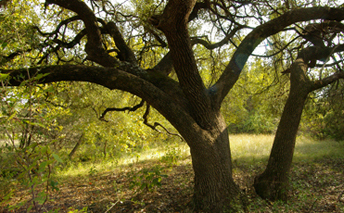 To implement its mission the manager and owners of the C. L. Browning Ranch offer selected institutions, organizations, and government agencies opportunities to collaborate with them on studio projects and research studies that promote good land planning, scenic restoration, and environmentally sound management practices. They also seek effective ways to disseminate research data and recommendations, both directly and electronically, to a range of interested parties, including governmental policymakers, developers, architects, landscape architects, environmental scientists, and landowners.